Hua Hin's historical charms, beaches and fine weather has long drawn international attention, seeing the rise of many new resorts along its sandy shores. 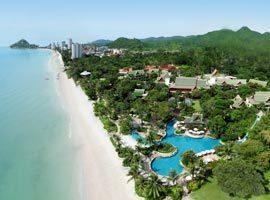 To take advantage of its endless ribbons of sand and enjoy great ocean views we offer a list of the best beachfront hotels in Hua Hin and, with our guarantee of the lowest prices you can be sure not to miss the latest and best deals. Attractions like water parks, nearby Sam Roy Yot National Park, caves to explore and Pala U waterfall plus an assortment of markets and restaurants and not mentioning the best year-round weather in Thailand is seeing this royal town emerge as a great family destination. 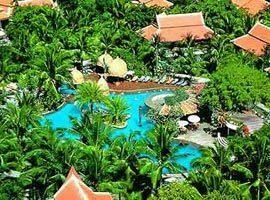 Similarly with adventure sports like kite surfing and jet-ski tournaments, a joyous nightlife, golf courses, Koh Talu island 2 hours away and romantic places to stay Hua Hin also seduce more and more singles and young couples to its shores. Being our base of operations we use first hand knowledge to offer advice on where to stay and list below the 18 best hotels directly on the beach like The Hilton, Centara Grand and Cape Nidhra which are near entertainment. The Sheraton, Anantara and Dusit Thani are in quiet settings with easy access to town while places like Baan Laksasubha offers affordable accommodation. Choose from mountain, pool or sea views in Takiab near shops and restaurants. Deluxe rooms feature king size or twin beds, the family suite has an adjoining room for kids and a 77 sq.m one bedroom suite offer pool or sea views. With quick access to the down town entertainment zone Anantara offers elegant accommodation with private terraces offering ocean views or with direct access to tropical gardens. 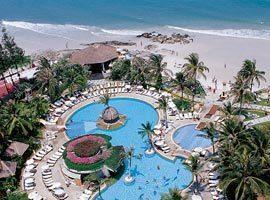 Club lagoon rooms have direct access to a lagoon pool. Anantasila nestles beside Takiab mountain which ads to its charm. It offers seafront apartments and villas both with with 2 bedrooms and your own pool which are ideal for families. 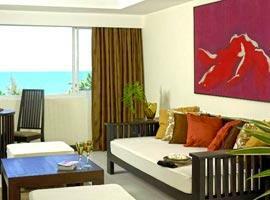 The sea view penthouse suites are romantic and private. Asara is located on a ribbon of sand seeing few other people beside hotel guests. It offers villas with your own pool, some of which are located in a natural outdoor setting and others within a private walled garden. There are also 2 bedroom units. Baan Bayan is a boutique hotel flaunting authentic teak wood bungalows for an original Thai lifestyle experience. 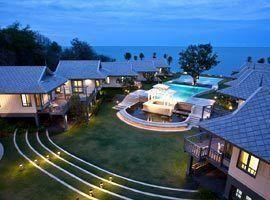 Its charming sea view villas are private and ideal for couples while the Baan Bayan Suite can accommodate 8 persons. 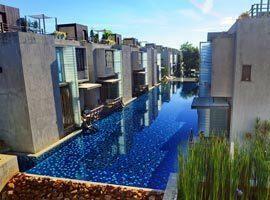 Baan Laksasubha offers a tranquil and intimate boutique experience minutes from restaurants and bars. 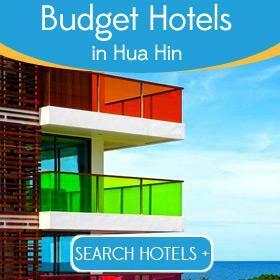 It boasts flawless reviews for service, location, facilities and its value for money accommodation with high standards. Cape Nidhra offers the epitome of luxury in chic and stylish beachfront villas. 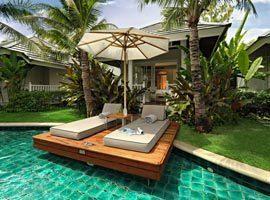 Each has its own private pool and wooden sun deck which allow you to soak the sun in privacy. Its location is ideal seeing you near city centre attractions and markets. Centara Grand carries historical importance and located centrally steps from restaurants and nightlife. It showcases a colonial charm and offers family friendly facilities as well as romantic accommodation in private pool suites. 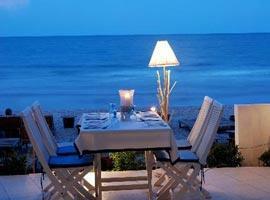 This boutique resort feature charming villas and seaside suites right on a private beach 10 minutes north of the city. Elegantly adorned with a warm and romantic old world charm they are recommended for couples who enjoy privacy. 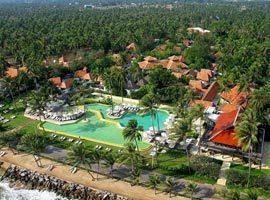 Set in tranquility 20 km outside the city snug in the embrace of a forest of majestic palm trees. It offers accommodation in luxury private pool villas decorated with an earthy under-tone and considered one of the best spa resorts in Hua Hin. The Hilton offers beachfront accommodation with the best views and effortlessly combine relaxed seaside living with bustling small town life steps from the hotel. Ritzy rooms and suites have private balconies towering 30 floors high. 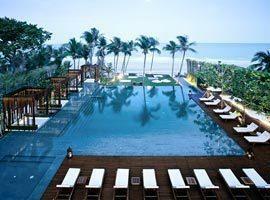 The Hyatt Regency has an oasis-like setting between pools, ponds and immaculate landscaped gardens. It features its own 250 meter seafront to guarantee unhindered relaxation and its luxurious rooms merge effortlessly to the tropical outdoors. 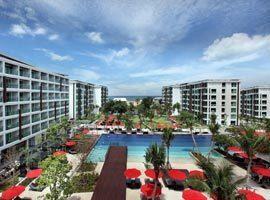 Lets Sea is a boutique al fresco resort inviting outdoor living. 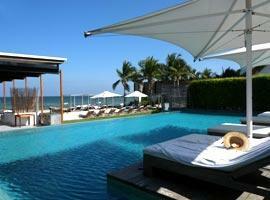 If you enjoy being in the water you will be happy to know all rooms have private terraces with direct pool access. The moon deck duplex suite also has a private rooftop terrace. 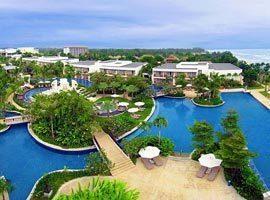 Putahracsa is ideal for couples who demand privacy, yet is so near entertainment and nightlife you can walk there. Silk Sand and Sansky Rooms have direct pool access and Ocean Bed Villas offer a choice of jacuzzi or a private ozone pool. For families there are 2 to 4 bedroom pavilions with their own pools. For couples the beach village and pool village rooms offer direct pool access and the rest horizon room offers panoramic ocean views and a private outdoor jacuzzi. The Sheraton is 5 minutes from town with a unique lagoon shaped pool in which islands are connected by walkways. The deluxe lagoon access room offers direct pool access and there are also inter-connecting deluxe rooms. 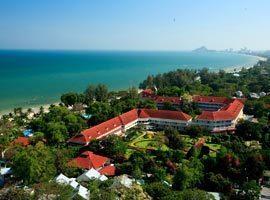 The Rock Hua Hin boutique hotel is near attractions and allow inspiring views from its seaside pool and poolside restaurants. 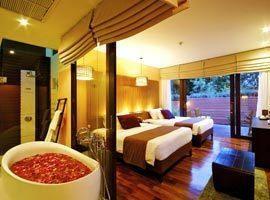 Recommended for couples it offers accommodation in a Zen Jacuzzi Pool Suite or pool Villa. Pearl Suites offer ocean views. Verandai is a romantic resort with a private beach where quaint seaside living and modern comforts combine in a tranquil setting. It offers Garden Bungalows among trees, sea view suites and the Long Holiday Suite features a kitchen.